A new tournament in Hendersonville showcases some of the best players in the area in a fast-growing sport -- pickleball. 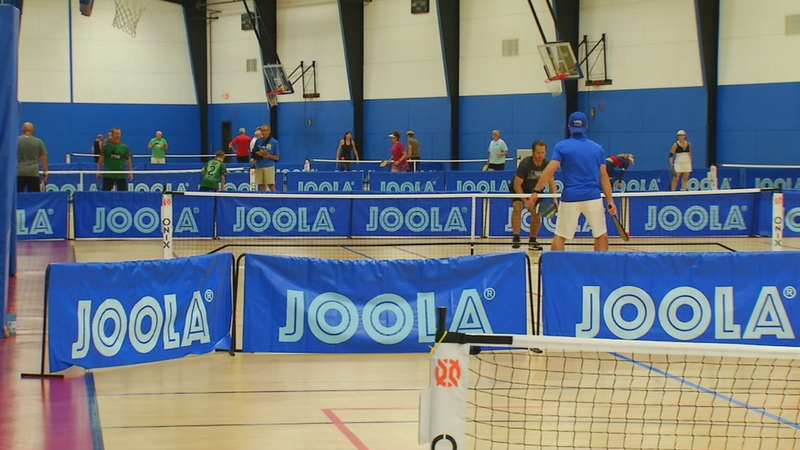 The Land of Sky Pickleball Tournament began Friday at Xcel Sportsplex. The tournament includes 218 players of all skill levels. According to the USA Pickleball Association, pickleball is a paddle sport that combines elements of tennis, badminton and ping-pong. Players say they love pickleball because it is inexpensive, easy to learn and a great chance to socialize. "Access in this area is very limited, and one of the purposes of this was to expose the game to more people and get the word out about how fast it's growing," co-tournament director Paul Aaron said. Organizers said 60 percent of the players are from out of town, so it is expected to have a good impact on the local economy. Play continues through the weekend.